The glam-some foursome return to stage with a collection of their most adventurous and sonically-challenging gems from their discography. Following the recent release of their latest album, ‘Ulfilas’ Alphabet’, Sundara Karma proved they are capable of an even more conceptual feel, both musically and visually - moving more towards the ‘glam rock’ genre, the boys are demonstrating a beautiful fusion of music that feels like the lovechild of Bowie and Queen. 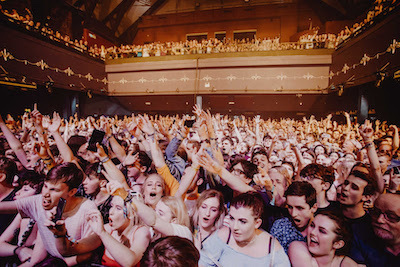 The starting gates of the summer festival season, Live At Leeds has become a go-to destination to see the artists that’ll be making their mark in the months and years ahead. Guaranteed to provide festival-goers with their next favourite band. 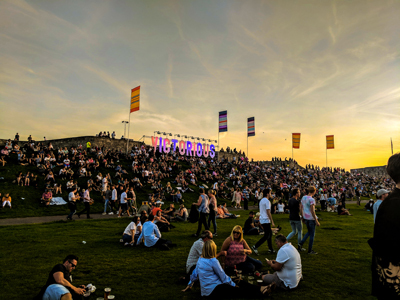 The first glorious summer weekend in months made for the perfect seaside setting as Victorious Festival returned to the coastline of Southsea, Portsmouth. 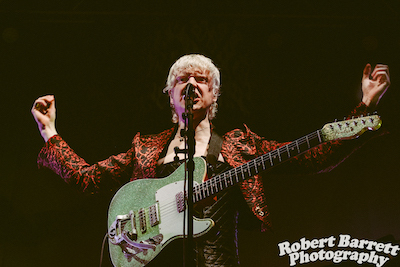 This year’s lineup saw Madness, Stereophonics and Elbow headline in front of an ocean of fans, with performances through the weekend by The Charlatans, Olly Murs, KT Tunstall, Pete Doherty, Maximo Park, Feeder and more. 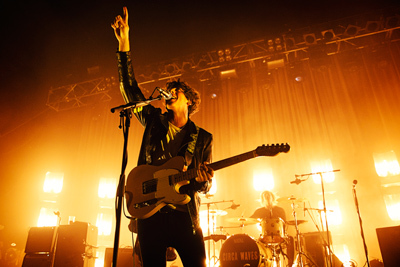 Last time Gig Junkies caught up with modern day Mersey Beaters Circa Waves it was down on the glorious Cornwall Coast basking in the sun at Boardmasters Festival. Their upbeat indie pop sound coming across perfectly in the summer sun to the backdrop of the Ocean waves. I was therefore interested to see how their upbeat act transcended on a dark chilly Friday night at Birmingham’s Institute.